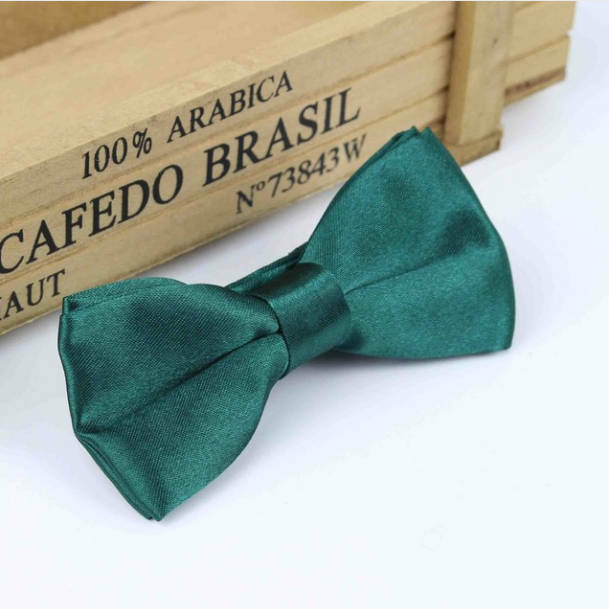 Boys forest green plain satin bow tie with adjustable strap, perfect for a page boy, wedding guest and other special occasions. Add a dash of style and colour to your boy's formal outfit with this forest green dickie bow tie. Featuring a high shine plain design, adjustable strap and is pre-tied to guarantee a perfect knot.